If you’re looking for convenience, affordability and selection, in a neighbourhood with good services and amenities, you might want to consider the area around Victoria Park between Lawrence and York Mills, often referred to as “Parkway East.” This is a prime location, just minutes from the intersection of the Don Valley Parkway and the 401 with a distinctly residential atmosphere. The community features several schools, churches, recreation facilities and, while there is great shopping conveniently situated, the apartments in this area are for the most part surrounded by lots of greenspace, convenient to parks and set on nicely landscaped grounds. 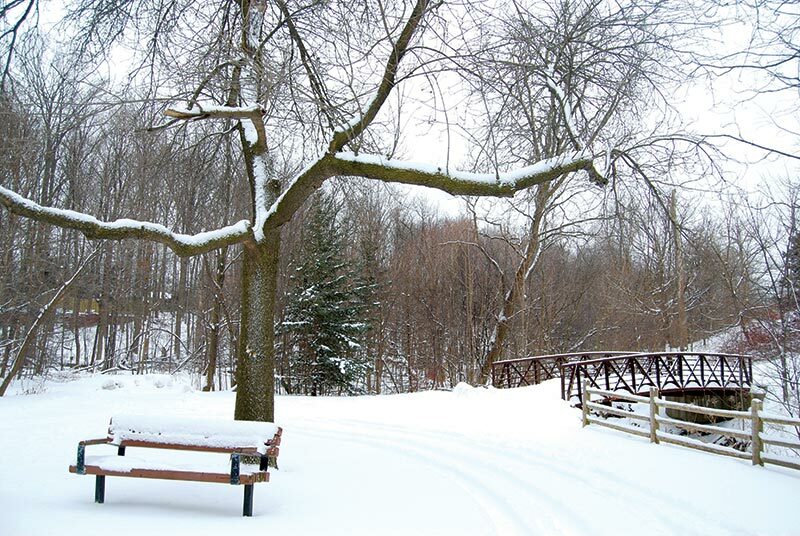 The trails of scenic Brookbanks Park wind their way through Parkway East, following Deerflick Creek, and are accessible year-round for walking, jogging, cycling. During the good weather, this is the perfect place to take your baby for an outing or teach a toddler how to ride a bicycle away from the city. Why not make the most of the recent snowfall and try some cross country skiing or snowshoeing? It’s fun and invigorating! There’s a good access point right across from the Library at Fenside and Brookbanks. Follow the trail north and south. Victoria Park Community Centre and Tennis Court is adjacent to Victoria Park Secondary School at Cassandra Blvd. just west of Victoria Park Ave. Just a little to the south, Rowena Park has a well equipped children’s playground. Victoria Terrace at Victoria Park and Lawrence is one of the area’s main shopping centres, featuring a large No Frills as well as Toys “R” Us, Dollarama, banks, post office, restaurants and professional offices. A sparkling-new Metro anchors The Parkway Mall at Victoria Parkway and Ellesmere (Parkwoods Drive) which also features a Staples, Shoppers Drug Mart, and large women’s fitness franchise, along with restaurants, banks, and professional offices. Just a little to the west, there’s a Food Basics at York Mills and Fenside. And if you’re so inclined, The Golden Mile is close enough on Eglinton Ave. East, but far enough away so you do not feel like you’re living in the midst of a shopping mall.